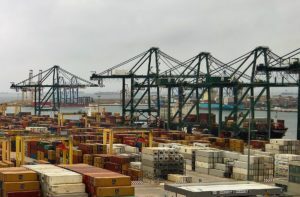 The Port Authority of Valencia (La Autoridad Portuaria de Valencia, or APV) has announced the awarding of the contract to draft the Intermodal Development Plan to TRN Taryet, the Spanish consulting company specialized in transport planning and research. With this project, Valencia aims to expand its hinterland and to attract cargo from beyond its area of direct ​​influence. The study is to be completed and delivered by 1 March 2019. The analysis will allow to define the areas of interest for the three ports managed by APV (Valencia, Sagunto and Gandia), as well as the requirements for establishing regional branches or building an infrastructure in the zones of cargo concentration along the main rail corridors. At the latest meeting of the Port’s Board of Directors, Aurelio Martinez, APV President, highlighted the necessity to search for cargo beyond the port’s area of influence, in order to guarantee the port’s further growth. “It is a paradigm shift. We have to go and be present where the cargo flow is generated,” he said. Aurelio Martinez has explained that the intermodality – and especially the railway corridors connecting the ports – are strategic elements for expanding the port’s hinterland. Once the study is delivered, the Valencia port will be able to start developing this sphere of logistics, with the focus on railway access to its ports. The scope of the study awarded to TRN Taryet includes, in particular, analysis of those areas where the port’s hinterland can be expanded, a qualitative evaluation of the areas of cargo production and consumption to which it would be interesting to provide rail access and finally the identification and analysis of the basic rail corridors connecting these areas. These corridors include the Mediterranean corridor, the line connecting Valencia-Sagunto-Teruel and Zaragoza, the Central corridor and the Andalusian corridor. For each corridor, TRN Taryet will analyse its characteristics and limitations, identifying the circumstances that generate bottlenecks, etc. The analysis will also provide a qualitative estimation of the future demand generated by both current and potential areas of influence. This includes an estimation of import/export traffic of the hinterland expansion zones, as well as the market share that could be captured by Valencia, Sagunto and Gandia in comparison with the competing ports. The implementation of the Intermodal Plan will imply promoting dry ports and appointing representatives where the port does not have a significant presence today, in order to offer services to different points of its hinterland, capturing new cargoes and facilitating their arrival at the port. Today, the area of Valencia’s direct influence covers the radius of 350km. The port acts as a prime cargo gate for Madrid connecting the capital by rail corridor. In 2017, Valencia handled on average 75 trains per week working with 6 railway operators.